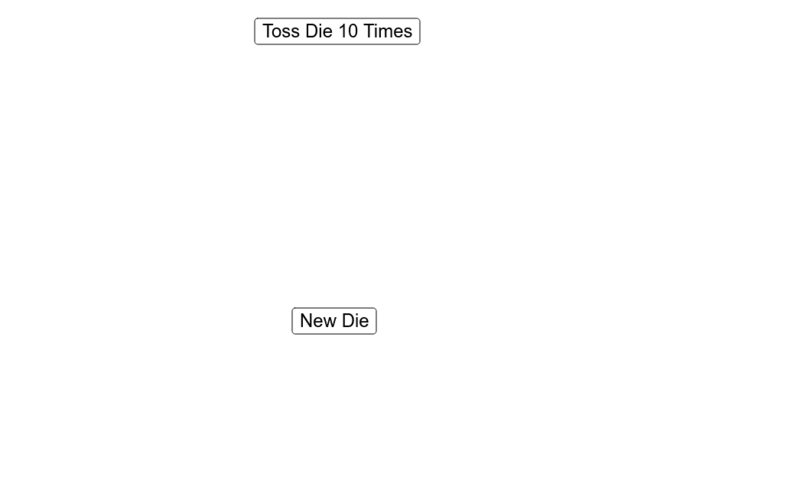 Toss a die10 times. Based on the number of "four spots", decide if you think the die is fair or not fair. When you click on the "fair" or "not fair" buttons, the true probability of "four spots" will be displayed.